2 Bedroom Detached Bungalow For Sale in Cheadle for Asking Price £275,000. 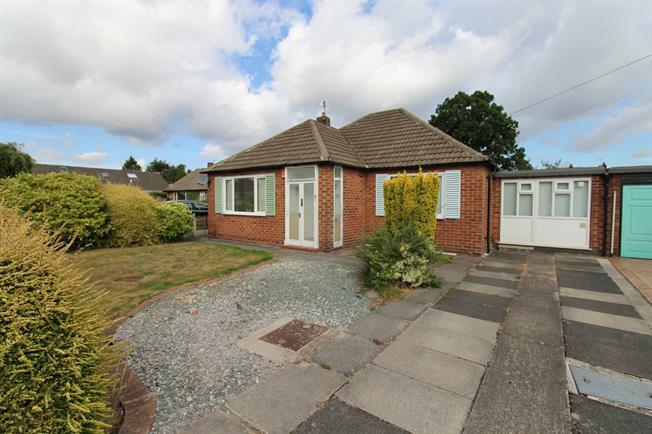 Offered with no onward chain and requiring modernisation throughout, a charming three bedroom link detached bunaglow sitting in a desired quiet cul-de-sac just off Styal Road. Extremely convenient location with good sized garden to rear, accommodation comprises - Lounge, dining kitchen, three good sized bedrooms, family bathroom, separate smaller kitchen and additional shower room. The property also benefits from driveway and good sized front garden.